Nepal is divided into three main geographical regions—the Himalaya in the north, the central hilly region, and the Terai (or jungle region) in the south. To help you decide where to go, we've broken these regions up into smaller, popular sub-regions which can be combined in numerous ways. There's an enormous amount of cultural diversity and natural beauty almost everywhere you turn, making it easy to find the perfect combination no matter how many days you have in Nepal. Deciding which regions to visit primarily depends on your interests and how many days you have, and then figuring out whether you want to fly or drive between regions (or consider arranging a combination of both). Some regions, like the Terai, are also best avoided during the monsoon given heavy rains and poor road conditions. With 5 days in Nepal, you'll likely want to stick around the Kathmandu Valley or take a quick trip to Pokhara. With 7 days, you can combine two regions to enjoy a short trek and some local sightseeing. 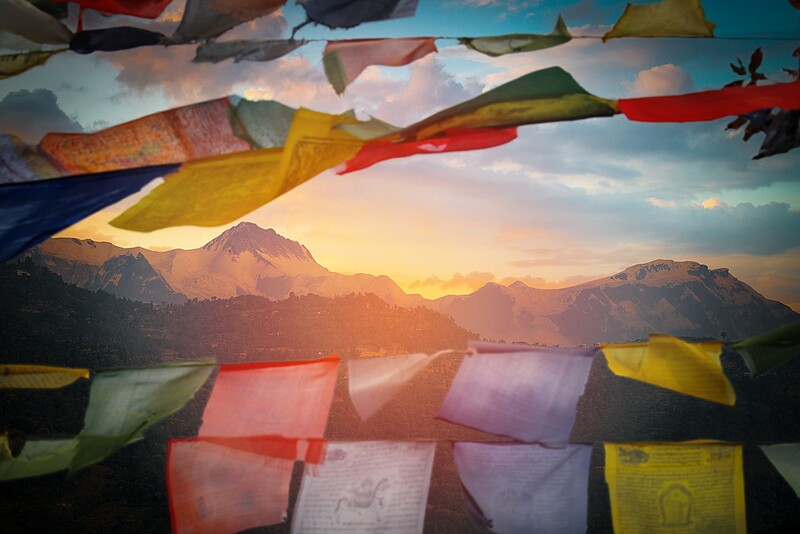 With 10 days, the options start to open up and you're able to venture farther away from the cities and into the mountains or jungles of Nepal. With 14 days or longer, you can experience one of Nepal's longer treks or consider combining three regions for a complete glimpse of Nepal. Nepal's main drawcard, the Nepali Himalaya span the length (east to west) of the country, across many regions and districts, forming the borderline between Nepal and Tibet. Some treks are easily accessible—with numerous teahouse lodges along the way—while others are very remote, requiring multiple domestic flights and camping equipment. Most people's visit to Nepal wouldn't be complete without a trek or a visit to a viewpoint looking out over the Himalaya. 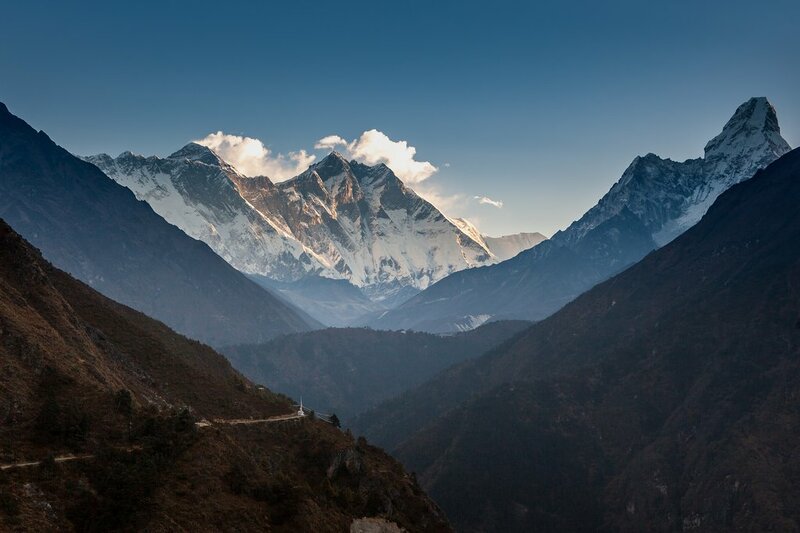 For a complete list of treks, check out our article on the main trekking regions of Nepal. Most travelers to Nepal arrive in Kathmandu (unless you're coming overland from India). While it is a big, congested, polluted city, Kathmandu holds some of the most beautiful and well-preserved cultural heritage sites in the world. Plus, it doesn't take long to get out into the surrounding countryside. The city is encircled by still-lush farmland and villages, and while they are increasingly being encroached upon by urban sprawl, there are still many peaceful places to explore around the valley. Besides visiting cultural sites, you can hike, mountain bike, dine at great restaurants, or escape to an overnight homestay or resort. The Kathmandu Valley can be visited any time of year. Winter days are usually sunny and bright, and even during the monsoon, the rains don't tend to last all day. Kathmandu is home to the only international airport in Nepal, and air, bus, and taxi connections can be made around the country from here. 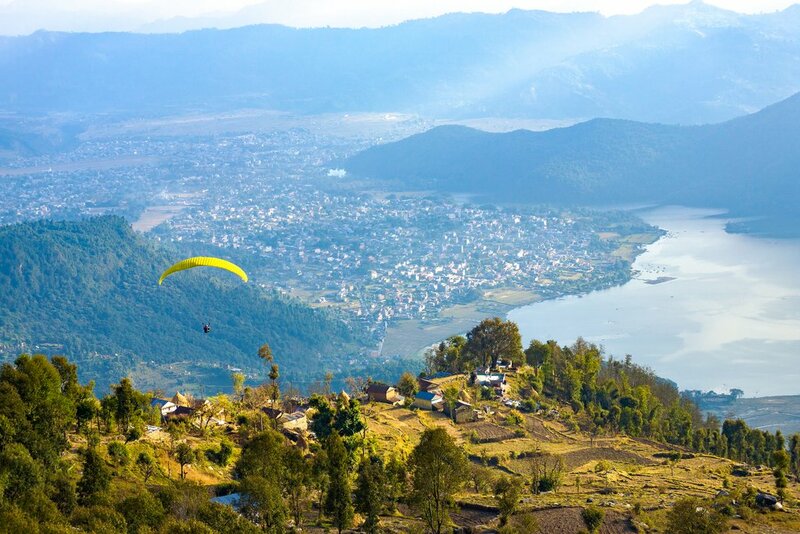 Pokhara is a favorite among many travelers, and for good reason. 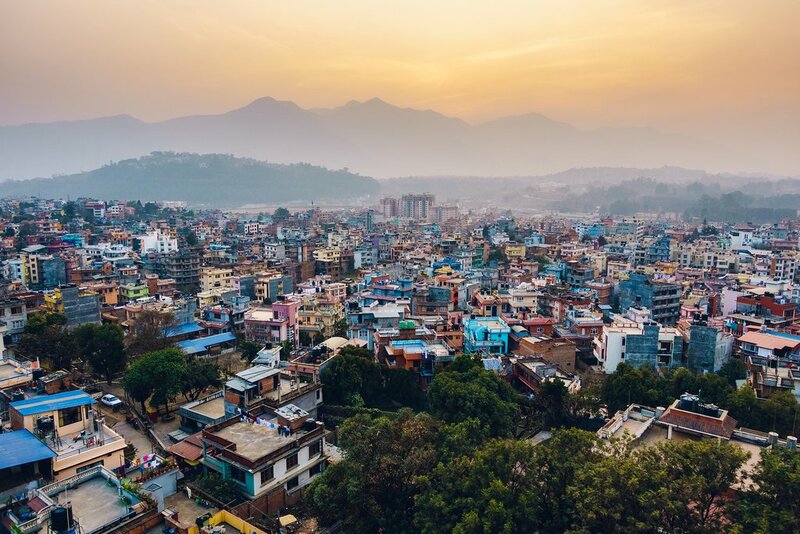 The small city is cleaner than Kathmandu, less congested, closer to the mountains, and full of adventure activities to try (such as mountain biking, paragliding, and the world's second-longest zip-line!) It's a handy base for trekking in the Annapurna region, which can be seen right there on clear days, as many trailheads are just a couple of hours' drive away. 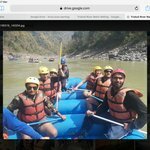 There are also numerous short trips that can be taken in and around the Pokhara Valley, such as to the pretty Begnas and Rupa Lakes, to the Peace Pagoda above one side of Pokhara's Phewa Lake, or to Sarangkot Hill on the other. Pokhara is well-connected to Kathmandu, Lumbini, and Chitwan via tourist and local bus, as well as by air. It is a year-round destination, although the mountain views are often obscured during the monsoon. The winter is an especially good time to hang out in Pokhara, because it's half as high as Kathmandu (at just 2700 feet), meaning it's warmer. First-time visitors to Nepal often overlook the fact that the entire southern edge of the country, bordering India, consists of hot plains and steamy jungles. There's barely a hill in sight down there, let alone a snow-capped mountain. While most of the cities of the Terai don't offer much for visitors, aside from being transportation hubs to other destinations, there are a few significant points of attraction. The Chitwan National Park is Nepal's most popular jungle national park and is easily accessible from Kathmandu or Pokhara. 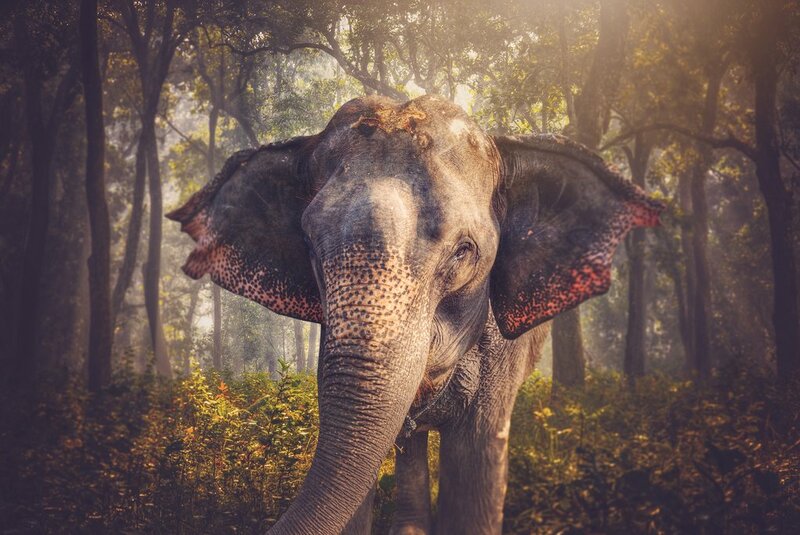 Base yourself in Sauraha or quieter Barauli for some jungle adventures. You're almost guaranteed to spot a one-horned rhinoceros in Chitwan, thanks to a successful conservation effort. The climate of the Terai is more north Indian than Himalayan. That means cold, short winters but searing heat for much of the rest of the year, from March to October. The best time to visit is between October and March, when the days are generally warm but the nights cold. Towns all along the Terai are well-connected to other parts of Nepal by tourist and local bus, as well as by air.